Get ready for another baby caring task, ladies! This time you get to take care of two little cutie, both of them part of Disney’s Descendants Villain series. Baby Evie and Baby Mal are already waiting for you girls, so hurry up and get the ‘Disney Descendants Villain Babies ’ to see what challenging tasks they have prepared for you! Select the little baby girl you want to take care of today and then begin to play with her favorite toys in order to entertain her well. Help her practice her walking and choose a really cute outfit for today as well. 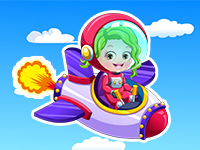 Have a great time playing this brand new baby game for girls!